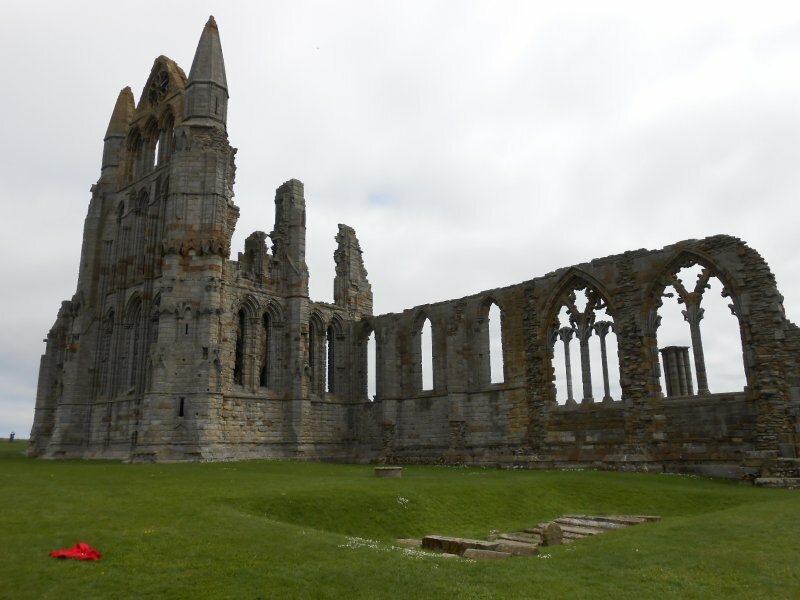 So, the last work we’re covering for my Romantic and Victorian Gothic course is Dracula, on December 2nd. 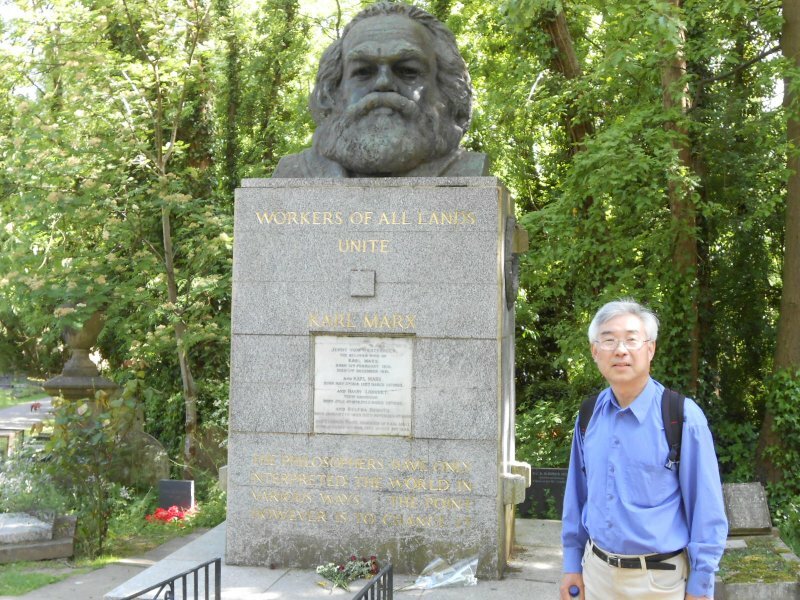 For “educational” purposes, I’m going to post some pictures that Yang and I took on our visits to England in 2013 and 2015. 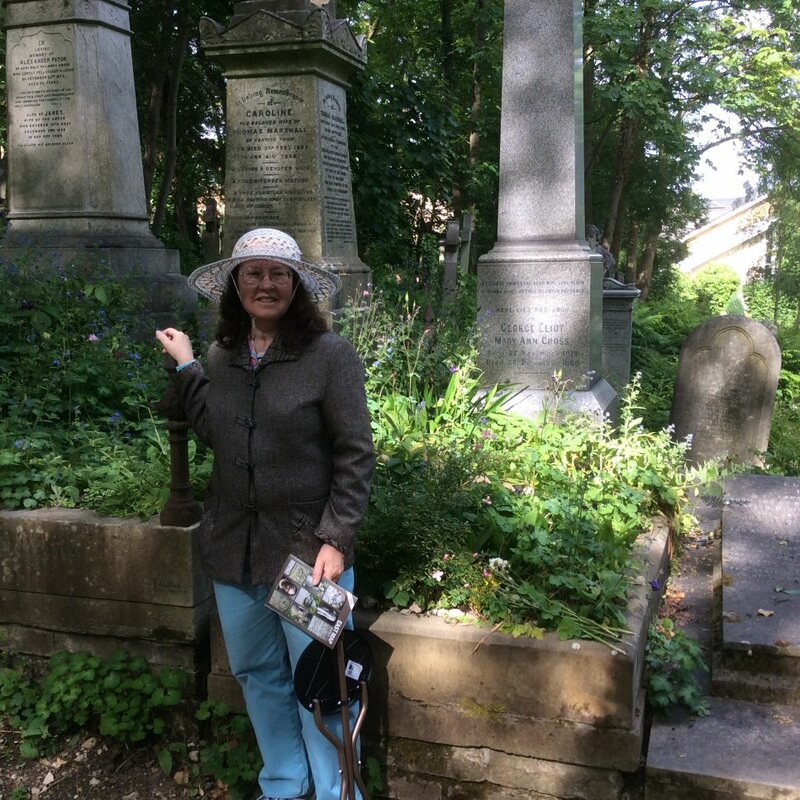 The first trip was a kind of “English major’s dream.” We visited Tintern Abbey, the Lake Country, Haworth and Whitby in Yorkshire, and in London St. Pancras Cemetery, Samuel Johnson’s House, Highgate Cemetery, and other neat places. 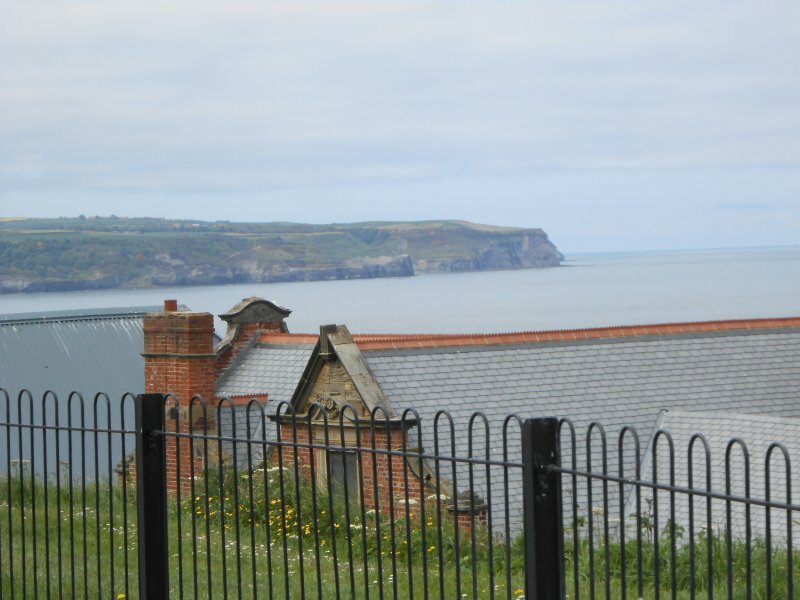 So, let’s start with images from Whitby that correspond to events in Dracula. Here is a shot of the cemetery for the Church of St. Mary’s, overlooking the harbor. 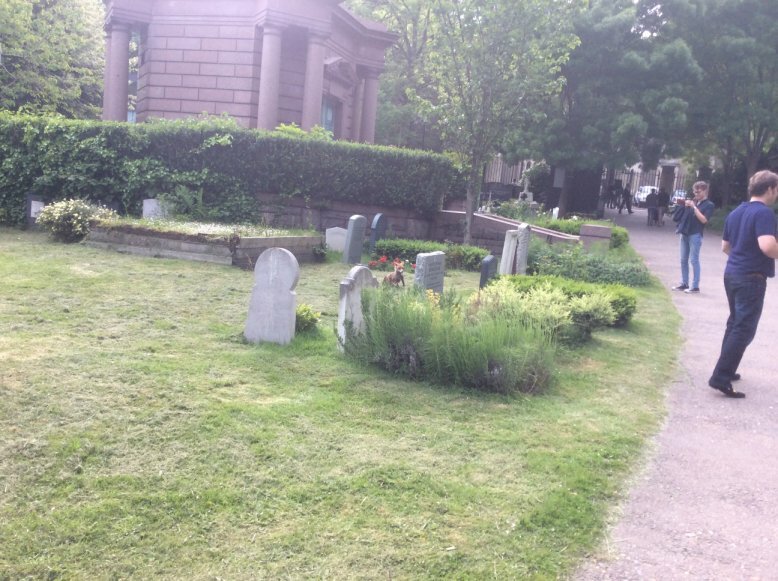 You can even see a few graves that might have been the very ones that Mina and Lucy sat upon – where Lucy was attacked by the evil Count and where he hid out during the day. 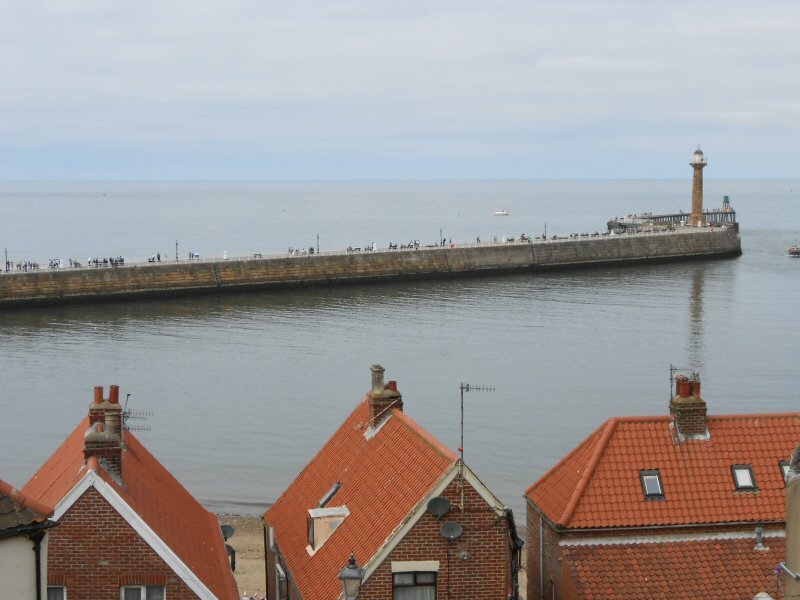 Here are some of the views of the harbor that the young gals would have see from their spot – or Dracula if he peeked through the cracks of his sepulcher hideyhole. Note the man-made breakwater with its lighthouse, described in the novel. 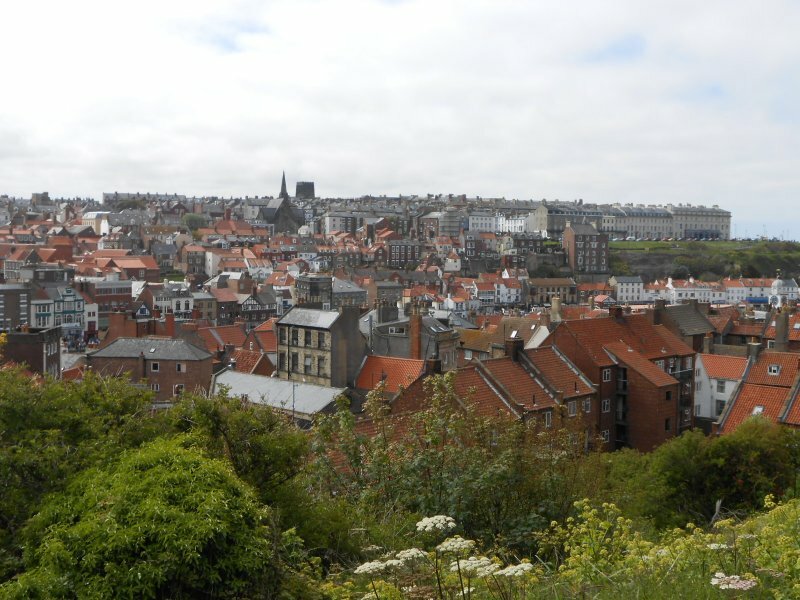 The brilliant roofs on the houses perhaps inspired Stoker’s emphasis of red predominating his descriptions of the town. The other arm of the harbor stretches mightily outward. You can see the depth of the harbor just by noting the height of the opposite cliff. 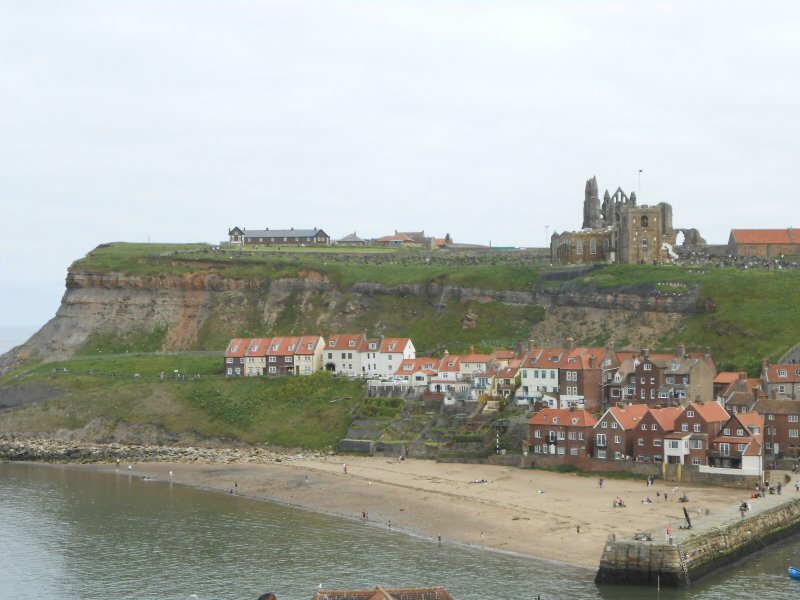 You get the same impression looking at the abbey and St. Mary’s from the heights above the beach and the concert pavilion. Mina must have lied. She could never have run up these stairs in her bare feet. 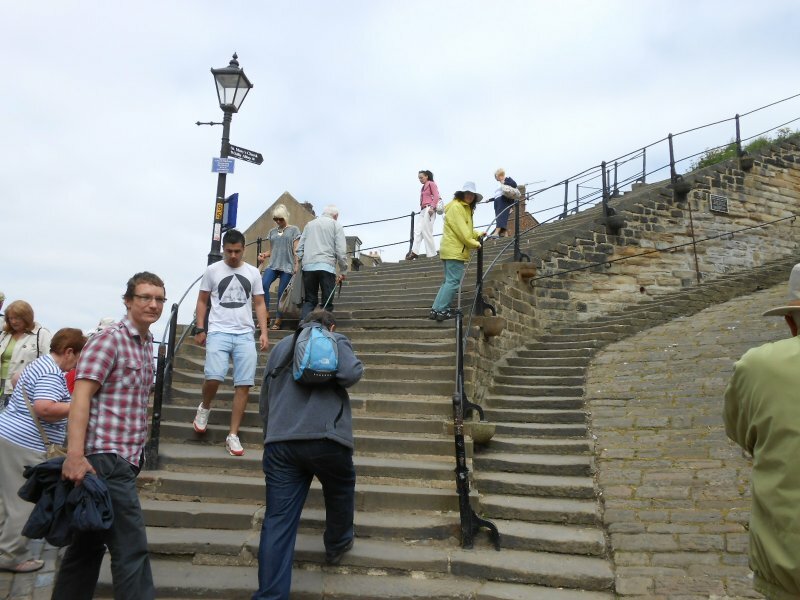 The girl must have had her New Balance sneakers on – and collapsed when she got to the top! 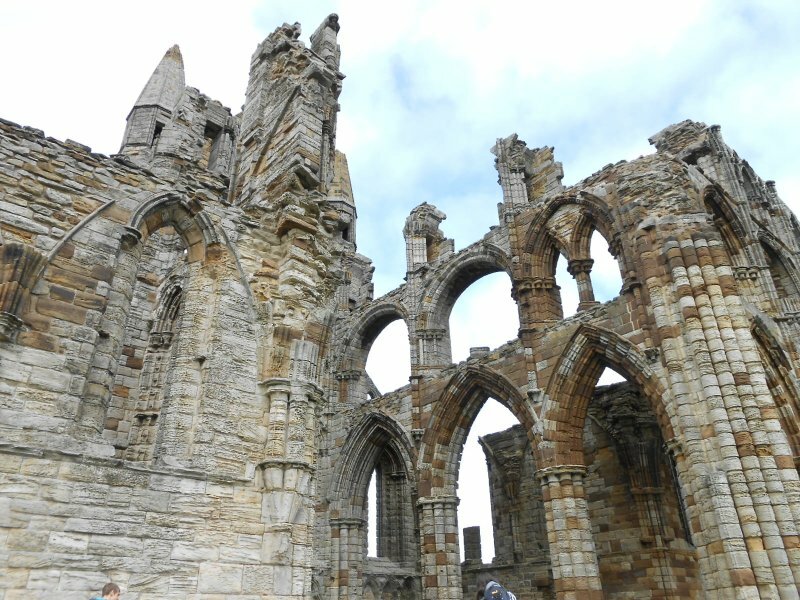 Here are some shots of the magnificent ruins themselves. Notice me in the corner for scale. 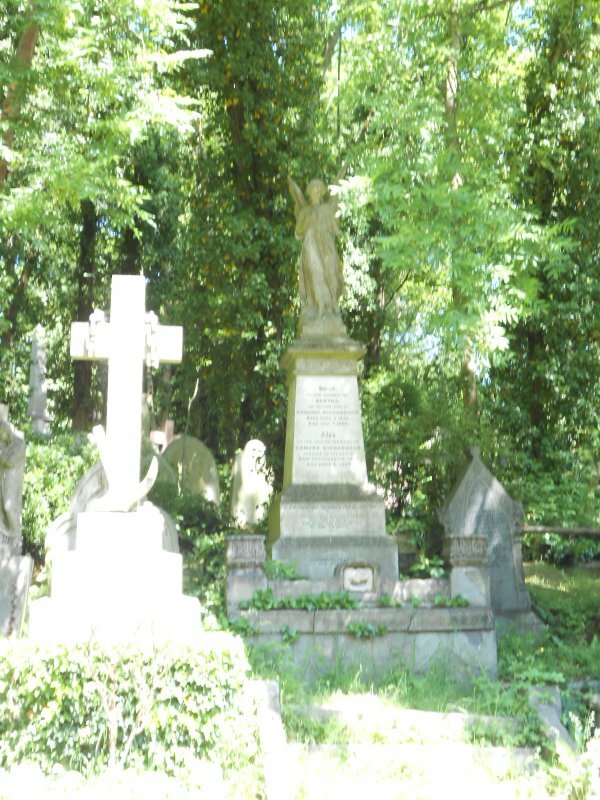 The other Dracula portion of my tour was at Highgate Cemetery. 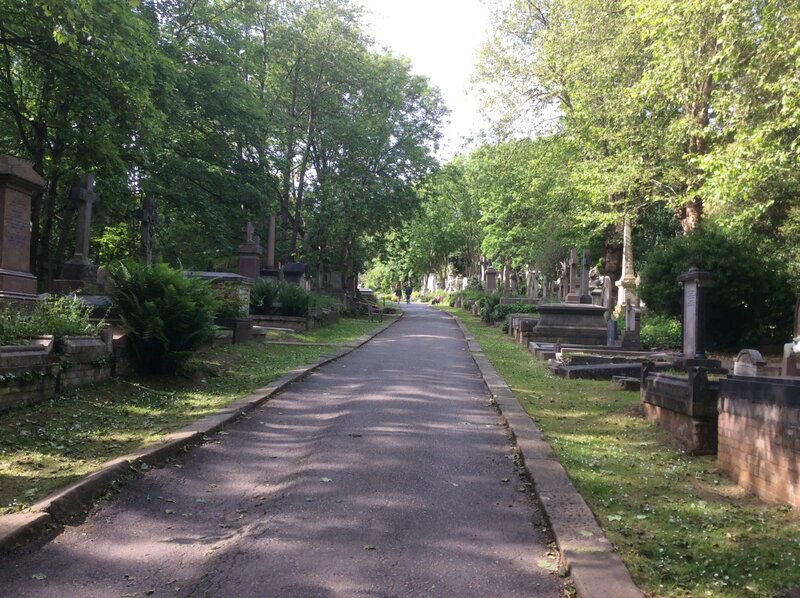 There are actually two sides to the cemetery. One is called the Old Highgate and the other the New. 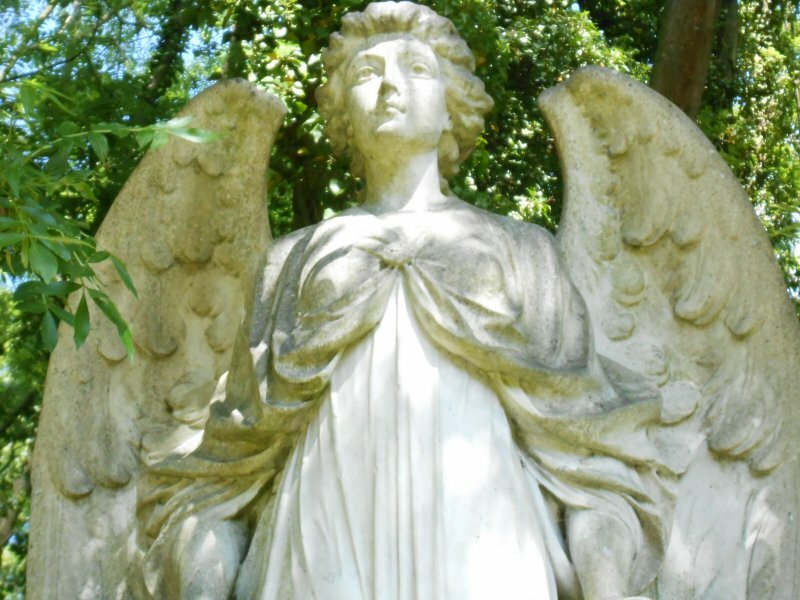 They’re both pretty old, but Yang and I figure that the encounters with Lucy’s Undead self probably occurred in New Highgate, since she would have been buried in 1897. We weren’t there in the middle of the night; that’s frowned on. So, our pictures are all in daylight – they wouldn’t have looked too good with only flash light, anyway. 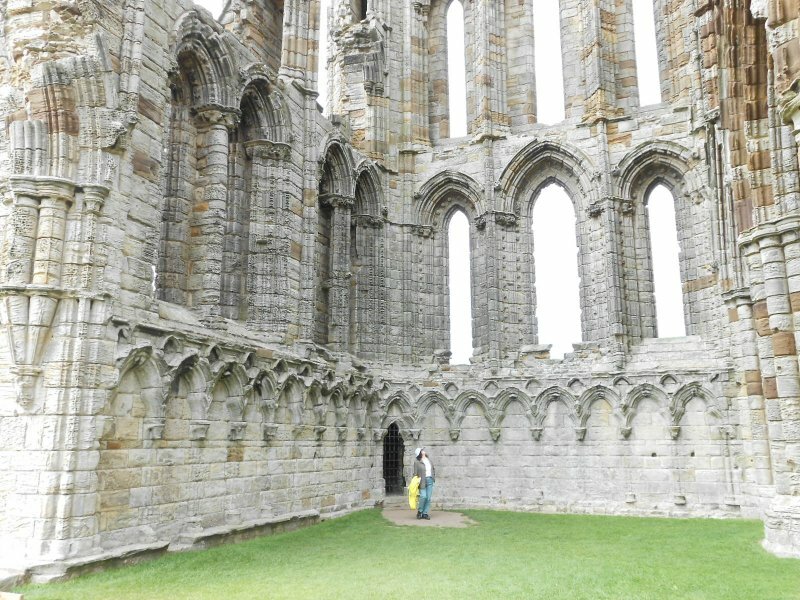 Still, these pics definitely capture the eeriness – especially if you are a Dr. Who fan. Don’t blink! 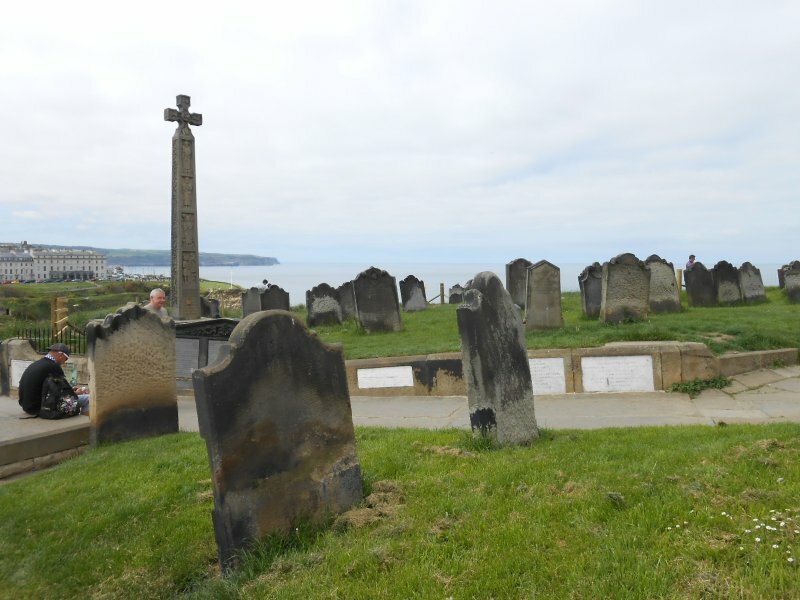 The graves are closely crowded, so you can imagine how easy Dr.Van Helsing and the boys would have had it finding a place to hide and peek at the vampires. I don’t know how overgrown the landscape would have been about 120 years ago, though. 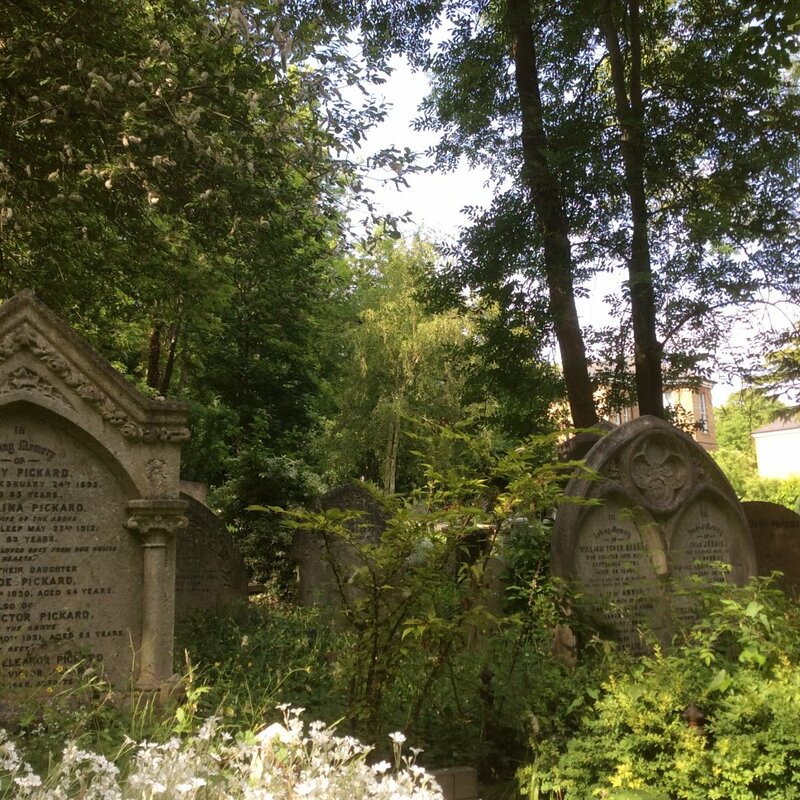 You can’t forget to visit some of the famous folk buried here, like George Eliot. And my husband said hello to one of the more fiery of the Marx Brothers, Karl. I guess Van Helsing and Co. were in too much of a rush to pay any literary/political social calls. 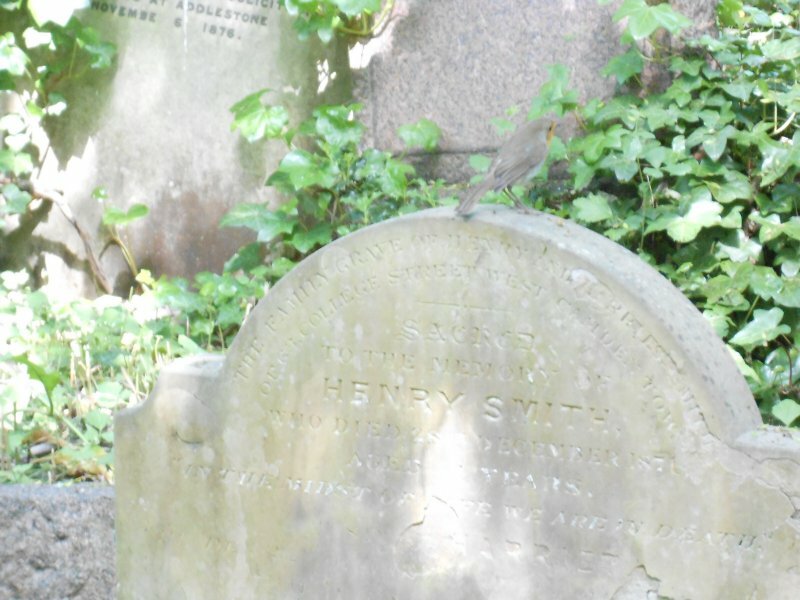 To end on an adorable note, enjoy the English Robin on the tomb stone, though you might have to click on the picture and enlarge it to see him/her. 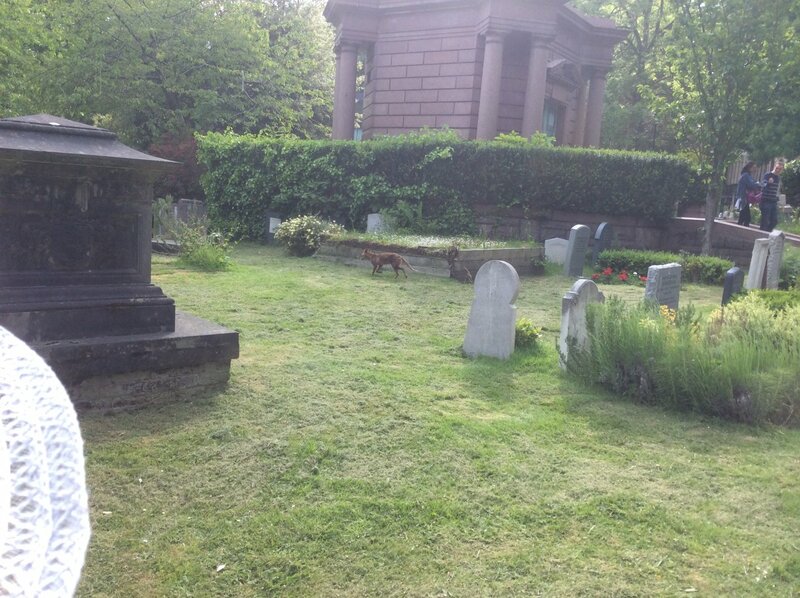 Or this fox, who is way to adorable to fall under Dracula’s evil sway. God, I miss your classes!! (that God was not in the place of Sharon) Love the pics!